I hope you’re enjoying a lovely, lazy Sunday. Suddenly, it feels like summer here in Seattle. Had I known, I probably would have made something other than Daube de Boeuf for our Sunday Supper out on the lake, but this Provençal stew bright with orange zest, orange juice, tomatoes and olives is always a favorite comfort food, and I love that it’s best made a day or 2 in advance, so I can relax a little before supper is served. 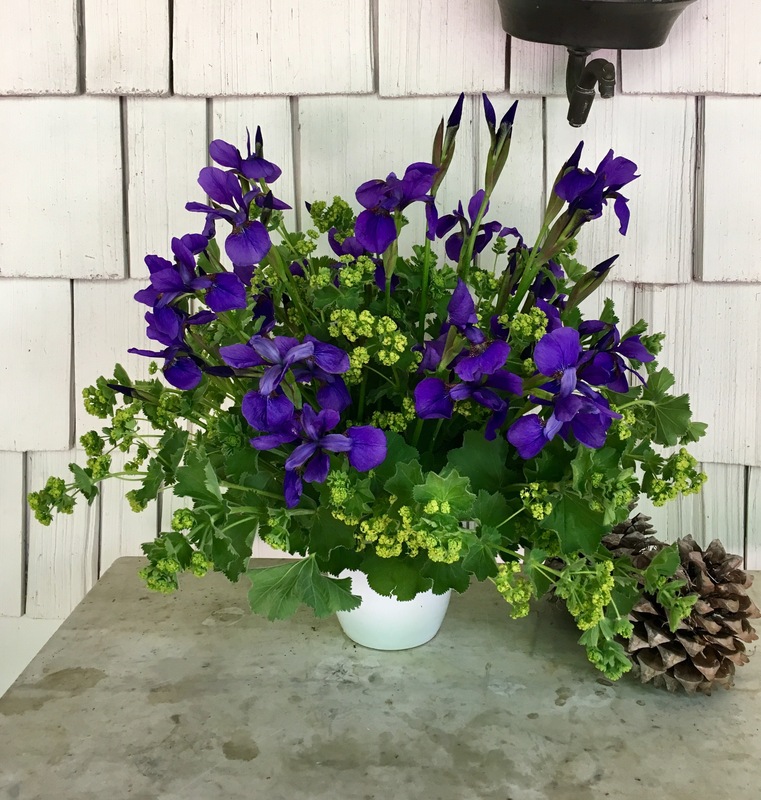 With that bit of spare time I decided to pull together a few flowers, so I wandered to the garden and was thrilled find my boat bouquet almost made for me with the abundance of deep purple Iris and chartreuse Lady’s Mantle blooming in the beds. « Out in the ocean without getting wet in Saint~Jean~Cap~Ferrat, France….